This one could be anywhere, or anywhere on the Dry Side, at least. So I’ve let a couple hints creep in. 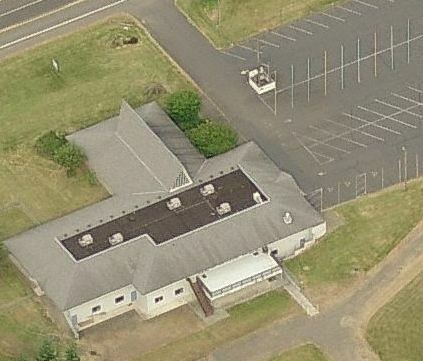 This is a Google Maps satellite view of a United Methodist related location in the Pacific Northwest. Correctly state what the location is, and why it’s United-Methodist related. Hint: I had no idea this place existed until this afternoon. Tomorrow morning, I’m going to drive there. More photos (with snow) to follow. On Wednesday afternoon, a neighbor contacted the Trinity UMC Facebook page, to ask about the cemetery. On Thursday morning, with the thermometer reading 9 degrees, I drove out to the intersection of Benzel & Urquhart. I walked up Urquhart, which wasn’t plowed, to the cemetery. Here are some images of the morning’s walk. Trinity folks told me a lot more about the cemetery. The most recent burial there was in the 1980s, and the person didn’t have a grave marker. And Bill Heinemann, whose parents are buried there, has planted the land in native-type grasses, to help keep weeds down. Also, it’s a good place to visit when it’s NOT high summer, because of ticks & snakes. Can you find this United Methodist location in the northwestern US? It’s a snip of a Bird’s Eye view at the Bing Maps website. This one should be easy, given my current events. To find the view, open Bing Maps, go to the area you want to look at, click “Bird’s Eye” on the menu bar just above the map. If you zoom in on this location, you should see this image on the big screen. Now, click the Envelope icon in the upper right corner of the page (“Share”) to get the address of the view, and put the link in a comment (below, in this blog), along with the name of what we’re looking at, and you’ll gain immortality, at least for a while, in cyberspace. Can you identify this United Methodist location in the Northwestern US? 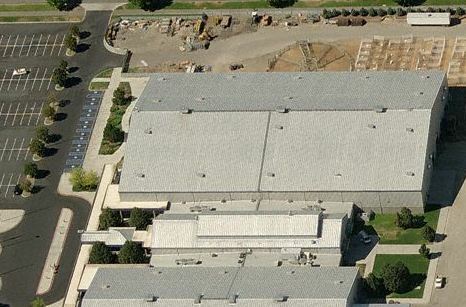 It’s a snip of a Bird’s Eye view at the Bing Maps website. To find the view, open Bing Maps, go to the area you want to look at, change “Road” to “Bird’s Eye View” on the upper right menu bar. If you zoom in on this location, you should see this image on the big screen. Now, click the Envelope icon in the lower left corner of the page to get the address of the view, and put the link in a comment (below, in this blog), along with the name of what we’re looking at, and you’ll gain immortality, at least for a while, in cyberspace. Sorry, that’s how long immortality lasts in cyberspace. So, I haven’t posted for a long time. Here’s a new From Above contest. 1. 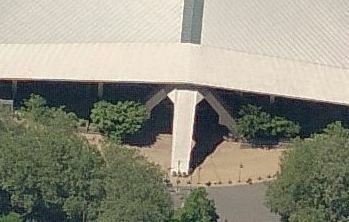 Identify the Methodist-related location pictured in the clip — a piece of a Bing Maps Bird’s Eye View. First person to do both of the above wins near-eternal, but very trivial, glory. One more clue, besides the caption: I have stood on the deck in the picture and gazed at one of the major mountains within the bounds of our Annual Conference. I’m out of the habit of posting a From Above entry here at Wesleyan Grace … but this one’s been sitting in my file for a while, and this week seems an appropriate time to post it. It’s a site of relevance to Pacific Northwest United Methodists. 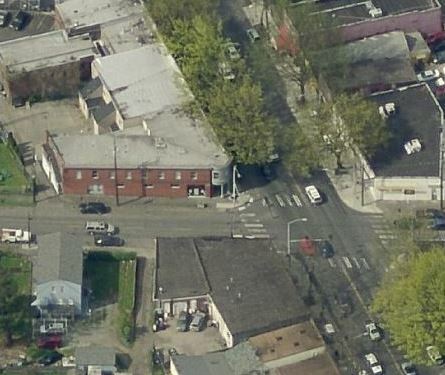 Name the location, say how it’s a United Methodist site, and post a link to the Bird’s Eye image at Bing Maps, and you’ll be famous! This one’s early because (a) nobody’s even guessing on #14, and (b) it’s timely. 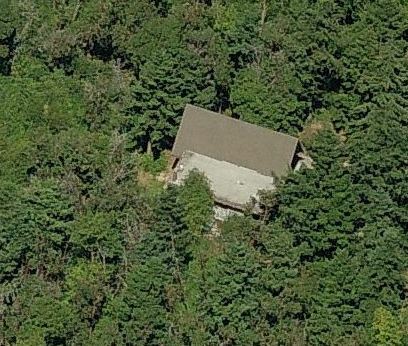 From Above #14’s image was the northernmost UMC I could find in the Bird’s Eye View on Bing Maps: First UMC of Fairbanks, Alaska. If my Finnish, Swedish and Norwegian were better, I do believe I could find a more northerly UMC than that one, though. Special honors to the seeker who links to a Bird’s Eye View of any UMC farther north than Fairbanks. Now: Today’s image is even more ephemeral than #13 was — but it’s a United Methodist location today, and I’m thinking some of you know what it is, and why it’s UM. And, no, it’s not Church of the Resurrection, though the folks featured here die but (nearly) always are resurrected before it’s all over.